Don’t even attempt to tell Giannis Antetokounmpo and Khris Middleton they’re being overused this season. The Milwaukee Bucks standouts are leading the NBA in average minutes per game: Antetokounmpo a league-high 37.4 minutes and Middleton right behind at 37.2. If you listen to Antetokounmpo and Middleton, though, they’d prefer logging even more minutes – considerably more minutes. Good luck with that, although one player actually did play 48 minutes a game for an entire season. Correction: He played 48.5 minutes a game. That, of course, was the legendary Wilt Chamberlain, who accomplished that mind-boggling feat during the 1961-1962 season with the Philadelphia Warriors. 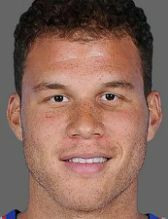 Chamberlain’s season included a 63-minute stint in the Warriors’ 151-147 triple overtime loss to the Los Angeles Lakers. Chamberlain, BTW, played the entire 48 minutes the next night and then the entire 48 minutes the night after that. 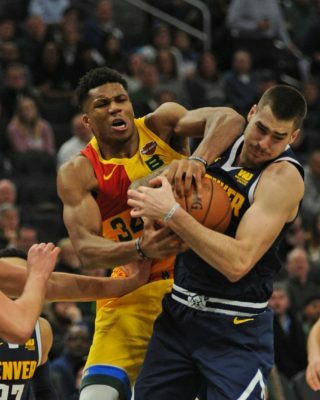 While Antetokounmpo knows he’ll never approach Chamberlain’s single-season record for average minutes played per game – (one other quick item on Wilt: He averaged an astounding 45.8 minutes – repeat, 45.8 minutes – during his hall of fame career) – he has lobbied Bucks head coach Jason Kidd about an increased workload. In Kidd’s first two seasons as the Bucks coach, he told reporters he intentionally kept his players’ minutes down in order to help them have prolonged careers. Not this year. Kidd has played Antetokounmpo 40 or more minutes on 11 occasions, including three games of more than 42 minutes. And that’s just fine with Antetokounmpo who, like Middleton, could become only the second Bucks player to lead the league in minutes per game for a season, the other being Vin Baker, who averaged a league-high 40.9 minutes during the 1994-1995 season. 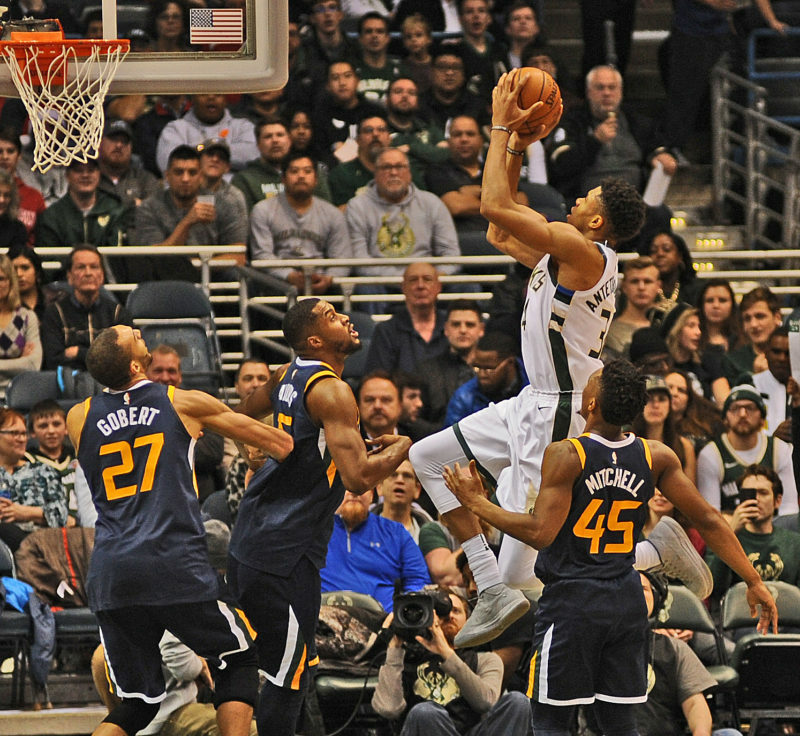 Like Antetokounmpo, Middleton doesn’t have any qualms about playing major minutes. 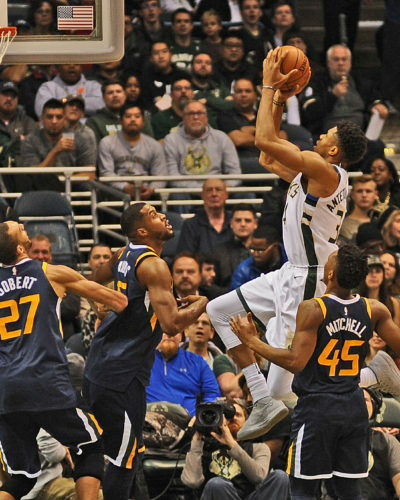 After averaging 30 minutes a game three years ago, his court time soared two years ago when he, and not Antetokounmpo, was regarded as the leader of the Bucks. Middleton averaged 36.1 minutes that season before falling to 30.7 during an injury-plagued 2016-2017 season. “Playing these kind of minutes doesn’t bother me at all,’’ Middleton said. “In the summertime, you do conditioning for this. My body feels good. He’s ready to play even more minutes if Kidd asks him. Just like Chamberlain always wanted to be out there.